We provide the most needy in our community with the food that they need. This is possible through the generosity of many organizations and individuals. Distributing packaged food to areas of need in the mountain regions. 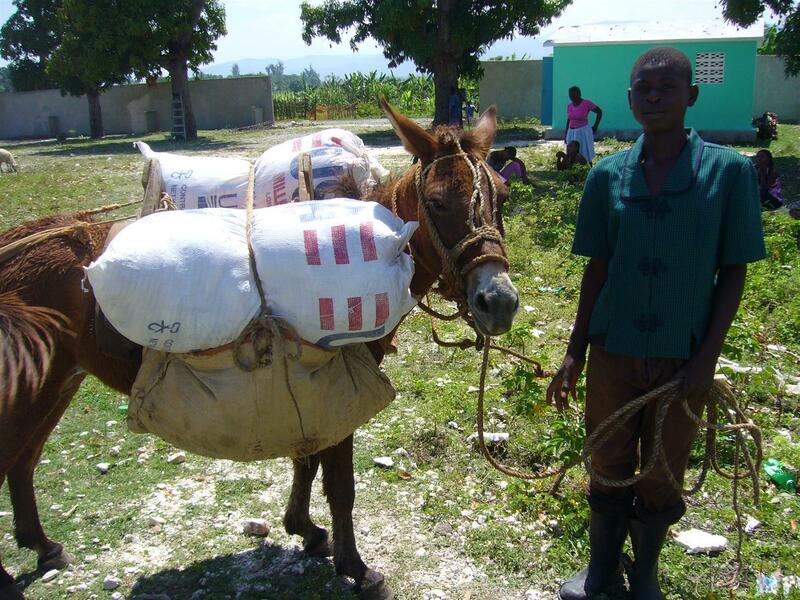 The Haitian people living in the mountains work hard to grow their own food, but there is no aid available for them should their crops fail. We are presently supplying much needed food to regions that would not receive help otherwise.